Horatio Wright was a Connecticut native who served with distinction during the Civil War. Rising rapidly through the ranks of the Union army, Wright commanded troops in battles fought all over the country, from Virginia to Florida, and out West as far as Ohio. His engineering background, however, played a vital part in his success after the war and allowed him to contribute to some of the most famous engineering accomplishments in American history. Wright was born in Clinton, Connecticut, on March 6, 1820. In 1841, he graduated second in his class at the United States Military Academy at West Point with a commission in the engineering corps. He remained at West Point for several years after graduation to teach both engineering and French to new classes of cadets. Wright then began a 10-year assignment working to improve coastal fortifications in Florida before serving as an assistant to the Chief of Engineers in Washington, DC. When war broke out between the North and South, Wright attempted to destroy ships and guns at the Gosport Navy Yard before its capitulation to the South. He then went to work shoring up defenses in Washington, DC. 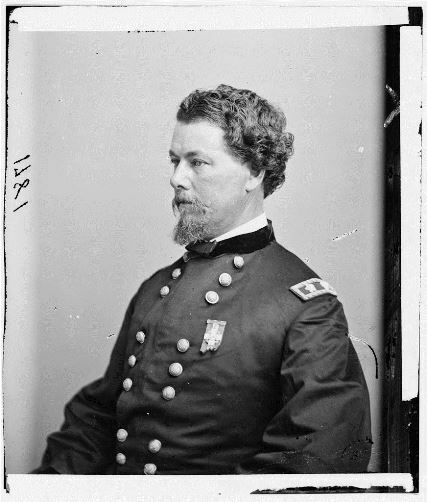 In September of 1861, Wright received a commission to command combat forces. He briefly took command of the Army of the Ohio and later led expeditions into Florida and South Carolina. He took command of VI Corps of the Army of the Potomac after the death of General John Sedgwick at the Battle of Spotsylvania Court House, and after leading his troops at Cold Harbor, Wright rushed back to Washington to fend off a Confederate raid on the capital in July of 1864. Arguably Wright’s most decisive maneuvers came in 1865 in Virginia with the smashing of the Confederate lines during the Siege of Petersburg and the capture of hundreds of Confederate soldiers at Sailor’s Creek. After the war, Wright briefly took command of the Department of Texas, but he soon returned to engineering. He served on a number of different engineering boards focused on rebuilding the country. Among his most famous achievements were the engineering contributions he made to such iconic structures as the Washington Monument and the Brooklyn Bridge. 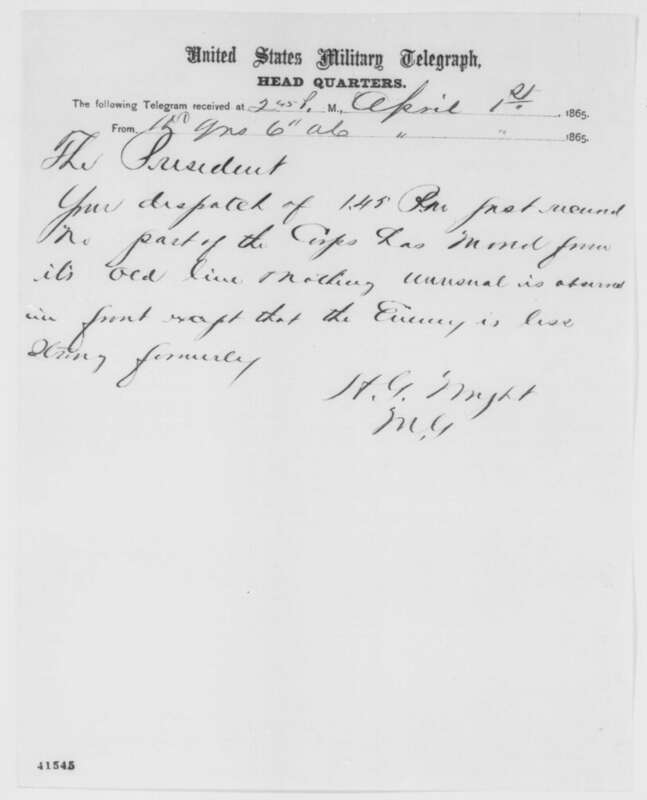 In 1879, Wright received a commission as Chief of Engineers in the US army. He maintained this title right up until leaving the army in 1884. He spent the next 15 years in retirement and died in Washington, DC, on July 2, 1899. Wright received a burial at Arlington National Cemetery. “Horatio Wright.” National Park Service, 2017. Link. 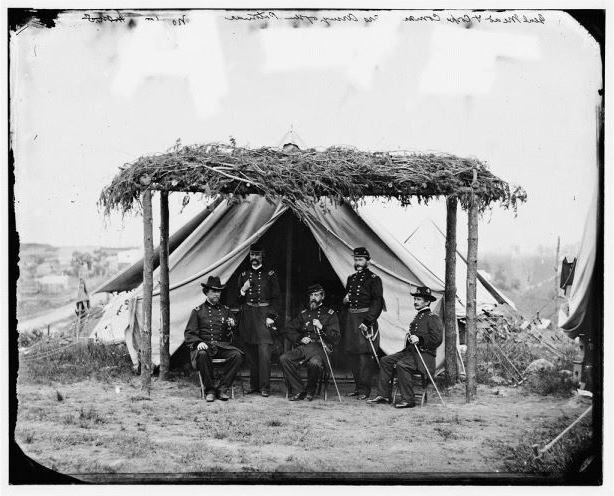 “Glass Stereograph - Gen. Horatio G. Wright, Commander of ‘Bloody Sixth Corps,’” 1864. Library of Congress, Prints and Phostographs Division. Link. “Major General Horatio Gates Wright, of Connecticut, and His Staff,” 1864. Connecticut Historical Society and Connecticut History Illustrated. Link. 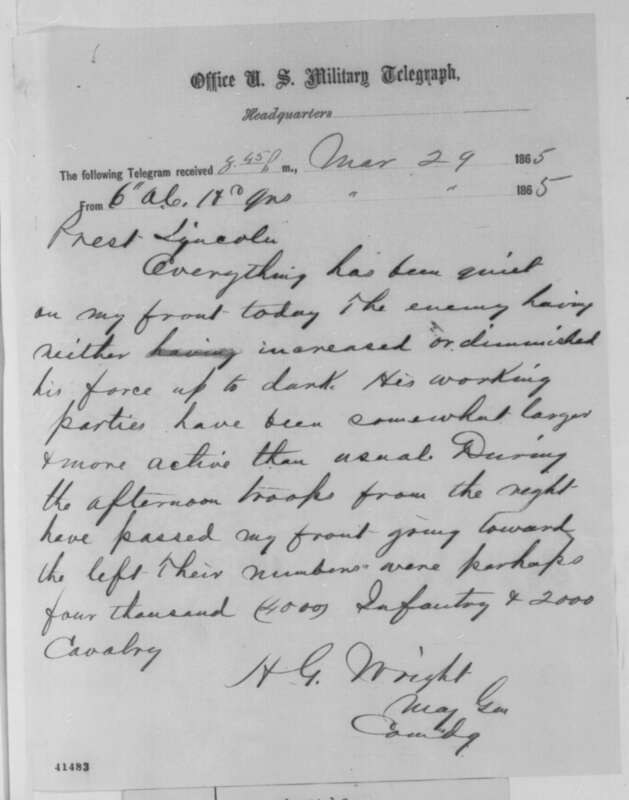 Wright, Horatio G. Letter to Abraham Lincoln. “Office U.S. Military Telegraph: Reporting Enemy Movements,” March 29, 1865. Library of Congress, American Memory, Abraham Lincoln Papers. Link. Wright, Horatio G. Letter to Abraham Lincoln. “United States Military Telegraph: Reporting Military Situation,” April 1, 1865. Library of Congress, American Memory, Abraham Lincoln Papers. Link.